The way we talk about our work and the impact of the nonprofit sector is critical to the sustainability of organizations. There is a growing body of framing science that informs how nonprofits can improve understanding and motivate people to action. As a companion to MANP’s new Frames That Work: Messaging Toolkit for Maine Nonprofits, this workshop will take lessons from framing science on which message strategies work and which don’t. Dr. Lynn Davey, a psychologist and issue communications expert will coach participants to put social framing theory into practice for their organizations, teaching concrete ways to more effectively increase public understanding, garner support and influence policy. Practice applying evidence-based framing strategies to advance their specific mission and reinforce the sector’s collective message. Nonprofit staff and volunteers with communications, advocacy, or development responsibilities. Communications professionals with nonprofit clients. Lynn Davey, Ph.D., is a psychologist who brings the science of communication to the communication of social problems. Lynn helps experts and advocates more effectively translate their expertise to improve public understanding of the causes, consequences and solutions to difficult social issues. Lynn began her career as a professor of psychology at St. Joseph’s College in Maine, where she created the college’s department of psychology, developed major programs of study in psychology and human development, and served as chair of the department for seven years. 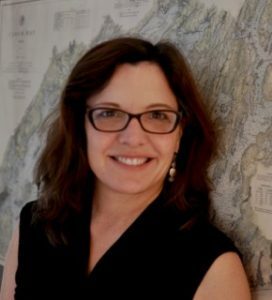 Frustrated by the disconnect between scholarly knowledge about social cognition on the one hand, and communications strategies for social problems on the other, Lynn left a tenured position to focus on bringing social science to social change efforts. Before starting her own consultancy in 2011, Lynn served as Vice President of the FrameWorks Institute, where she designed and analyzed research that investigated public understanding and identified frames that would improve understanding of a host of social issues (child and family issues, mental health, addiction, racial equity). Drawing from her experience in social science research and evaluation, Lynn conducts original framing research and provides training and technical assistance to those interested in improving public understanding of entrenched social problems. For more information, visit DaveyStrategies.com. This program is offered with generous support from Healey & Associates and The Bingham Program.